The Oak Course was the first course built and opened for play in 1975. From the back tees, the Oak Course stretches out to 6,598 yards with a course rating of 72.2 and a slope of 131. Both the White tees (6,268/70.5/128) and the Green tees (6,003/69.3/122) will also provide a fitting challenge. Ladies find the Oak Course enjoyable from the Red tees (4,755/68.1/115). In all, there are 5 sets of tees. In case you can't decide which set of tees to play from, there's a handy reference at the bottom of the scorecard which suggest which tees to play based on your handicap. Several holes will leave lasting memories including the par 3, 5th. This is considered by many to be the Oak Course's signature hole. From the back tees, it plays 162 yards, but don't let the length fool you. This hole is loaded with trouble. 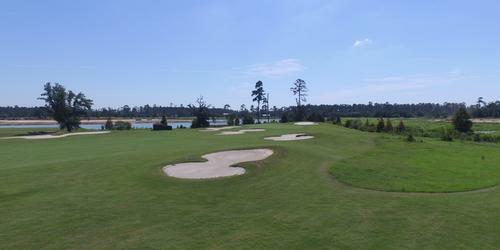 For starters, a large bunker fronts the green while a second bunker awaits anything hit long. 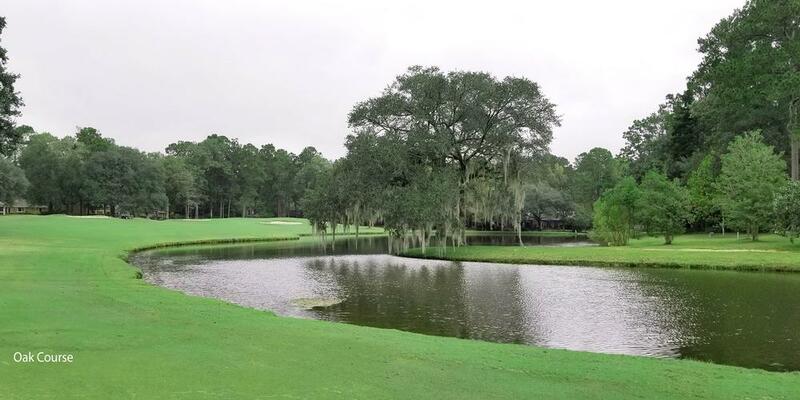 Club selection is the key to number 5 as the winds that swirl off the Tchefuncta River on the right can wreak havoc. The Oak Course ends with a difficult finishing hole. Fairway bunkers frame both sides of the landing area off the tee and a water hazard winds its way down the entire left side. Aim your tee shot down the middle and fire away. If you succeed in avoiding the fairway bunkers, you'll be left with a mid-iron shot into the green and a good chance at par or better. 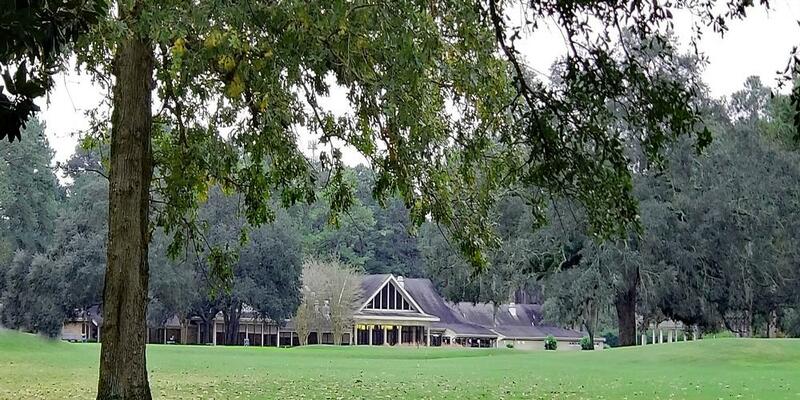 The second Joe Lee course, the Magnolia, is located in the newer, eastern section of the property, formerly known as the Pailet Estate. The initial 9 holes (which are now 1-5 and 15-18) were completed in early 1982 while the second nine (6-14) were completed in 1985 as part of a final phase of the Beau Chêne subdivision. 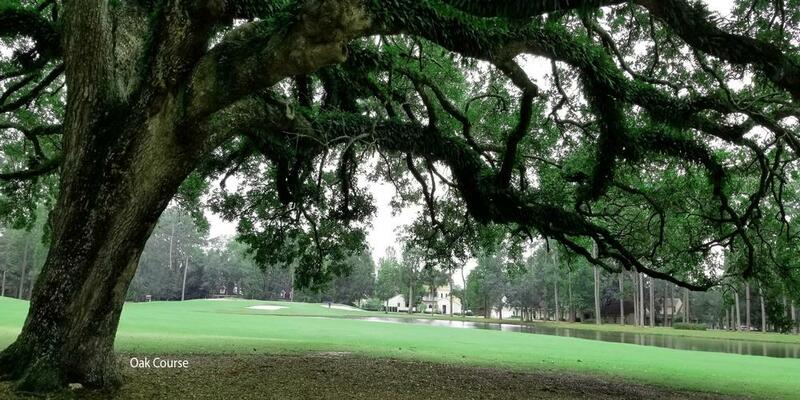 Magnolia's difficulty is characterized with more bunkers and water hazards than the Oak Course. And just like the Oak Course, there is out of bounds on every hole. Magnolia plays a little longer than the Oak, at 6,613 yards from the back tees with a course rating of 72.1 and a slope of 133. Move up to the White (6,351/70.9/129) or the Green (6,061/69.8/122) and you're still going to be challenged no matter your skill level. Ladies will find the Red tees at 4,902 (69.4/116) to be an enjoyable and challenging distance. The par 4, 5th hole on the Magnolia Course is one of the most challenging holes in the area and this layout's #1 handicapped hole. It's a long dogleg left that plays 430 yards from the back tees and requires a long drive to make it to the dogleg and have a clear look into the green. Success off the tee will leave a mid to long iron shot into a green protected on the left side by a large oak tree and a greenside bunker on the right. Make a par and consider the day a success. Regardless of which course you play, you're bound to be astounded by the scenic views as you make your way around. 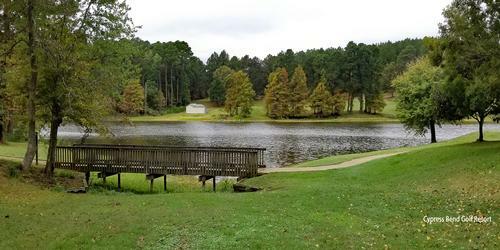 You'll be treated to an abundance of area wildlife, massive cypress trees, ancient live oaks, freshwater lakes and lush vegetation. 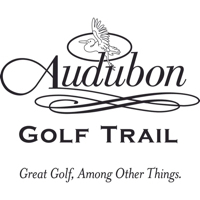 Players of all skill levels will find both courses challenging while at the same time relaxing. In addition to these two outstanding golf courses, Beau Chêne offers an extensive, well-groomed practice area. Inside the clubhouse you'll find a well-stocked pro shop with logoed apparel from all of your favorite designers and a nice selection of clubs, bags and accessories. For members, Beau Chêne has active Men's and Women's Golf Associations and numerous informal groups and an active junior program. If you're game's not up to par, the Club offers golf lessons and regular clinics for adults and children. The Club also holds numerous Club tournaments with a variety of formats. The golf program is led by PGA professional Fred Schroeder. There's a lot more to do than play golf at Beau Chêne. The Fitness Center at Beau Chêne provides members the opportunity to work out on top quality equipment in a comfortable and quiet environment. You'll find the Fitness Center conveniently located on the second floor of the Tennis Center and is open from 4:30 a.m. to 11:00 p.m. daily with access controlled by electronic keycard. Within the Fitness Center you'll find a good selection of cardio equipment including treadmills, stationary and recumbent bikes, elliptical trainers and stair steppers. All cardio equipment has individual televisions equipped with remotes and headphone receptacles. The strength training equipment consists of various resistance training and weight stack equipment designed for a complete body workout. The Fitness Center and Fitness Director Mary Piper offer an array of group fitness classes ranging from Cardio Kickboxing to Yoga that will challenge everyone from novice to the fitness guru. These classes are complimentary to Fitness Members. In case you have any questions, certified personal trainers are available to help with every facet of your workout. Tennis is alive and kicking at Beau Chêne as well and is one of the most active programs in the area. The tennis complex features 8 outdoor lighted courts - two of which are clay - and 2 indoor air-conditioned courts, the only two indoor courts on the Northshore. Whether you're young or old, new to the game or have a wealth of experience, Head Tennis Professional John Ballard can help you get the most out of your game and help you meet others that enjoy the sport as much as you do. Youth and adult clinics are held regularly and the professionals at the tennis center can help get you involved with local USTA events. 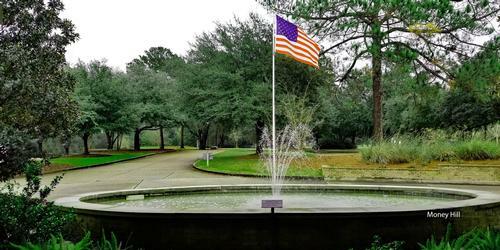 With two Joe Lee-designed golf courses and some of the best country club dining in New Orleans area, Beau Chêne is the perfect venue for your next outing or event. Beau Chêne also specializes in weddings and rehearsal dinners. 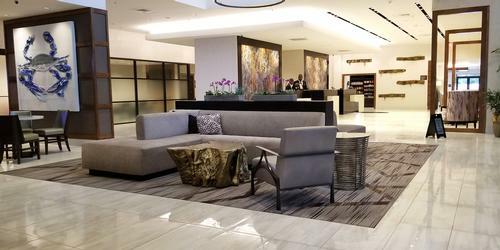 Guests will enjoy ample paved parking and the ambience of their newly remodeled clubhouse and recently constructed lakefront Pavilion will only add to their experience. Beau Chêne features two spacious dining rooms and can easily accommodate 300 guests for receptions and 180 for seated events. The large windows in each room provide incredible views of the Club's beautifully landscaped gardens and golf course. Many country clubs are judged by their culinary offerings and if that's high on your criteria for joining a club you'll be amazed at what Beau Chêne has to offer. In fact, Beau Chêne has two dining rooms and offer everything from casual clubhouse food to fine dining. The Oak Grill features large panoramic windows for a magnificent view of the golf course as well as several flat-screen televisions perfect for watching the big game. The Oak Grill offers breakfast, lunch and dinner in a relaxed casual atmosphere that can be enjoyed in just about any attire. The Oak Grill Bar offers all of your favorite post-golf libations including a number of local beers on tap. 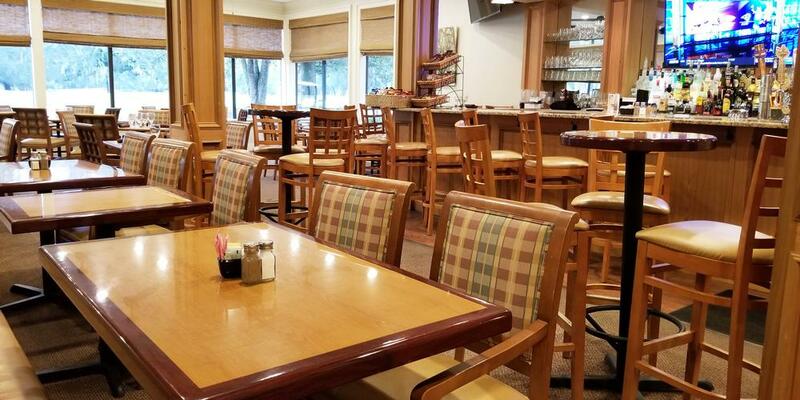 On weekends, the Oak Grill opens early with an a la carte breakfast menu on Saturday and the ever-popular Sunday Breakfast Buffet, featuring made-to-order omelets and bottomless mimosas. Friday afternoons in the Oak Bar are always lively with Happy Hour drinks from 4 - 7 PM. If you're looking for something a little more upscale Morgan's offers fine dining cuisine that can be enjoyed in business casual attire. Grab a mixed drink or a glass of wine at Morgan's Bar before sitting down at your table. Beau Chêne offers a wide selection of mixed drinks, bottled beers and wine. Executive Chef David Ramey brings his expertise and culinary artistry to deliver a menu that is always fresh and exciting. The menu changes as the season does and Chef Ramey's creativity shines through year-round. Morgan's is open nightly for a la carte dinner on Thursday, Friday and Saturdays. You don't have to live within the gates of Beau Chêne to be a member and enjoy everything this fine country club has to offer. Beau Chêne offers several membership plans. The Eagle Golf Membership entitles immediate family members including your spouse and any children under 25, to unlimited use of the golf courses, clubhouse, tennis facilities and pool complex. For an additional small monthly payment you can add a fitness membership. The Club's Medalist Golf Membership offers everything above and provides a lower initiation fee with higher monthly dues. It's the perfect membership for part-time residents. There's also a Birdie Golf Membership which is offered to new members under the age of 40 years of age and carries the same benefits as an Eagle Membership. Sports and Social Memberships are also available with limited golf course access. 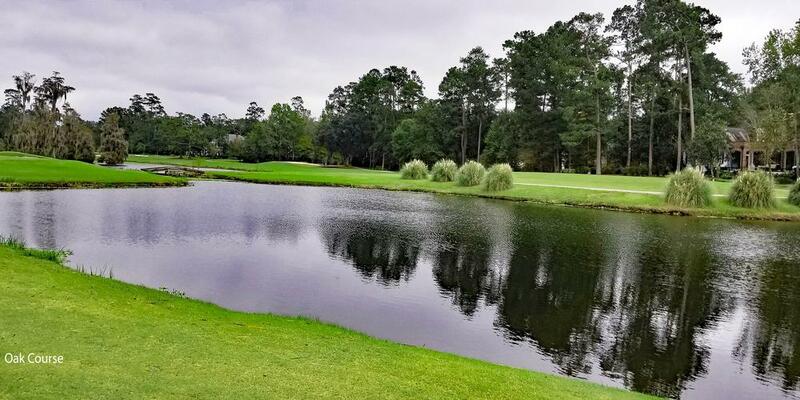 If you're looking for a great club to join, with friendly members, an active social calendar and some of the best golf in the area, then arrange to take a tour of Beau Chêne Country Club. You can get a lot of information on the Beau Chêne website at www.beauchenecc.com.